“My vision for Athens is of a vibrant, caring city, where public space is respected; a sustainable city with fewer cars, an inclusive city with happy citizens. Elina in her beloved--and now even more beautiful--city center. “Through our work on the Athens Commercial Triangle Revitalization program, we have managed to creatively transform the historical part of the city center, from the bottom up by building relationships and investing in its people. Lida is all smiles when she’s out in the city she loves. “This is Athens - Polis” has set a very clear mission: to bring out the beauty of the Historical Center of Athens, which is home to some of the city's architectural treasures, but also to a vast number of new, as well as traditional businesses. Irene excitedly introducing a free Open Schools event. “Through the Athens Open Schools program, we create new public spaces in neighborhoods, new meeting and creative venues, by opening schools on weekday afternoons and all day on weekends. School buildings are being used as lifelong learning centers with a wide variety of activities geared to all ages and interests, including our most vulnerable community members. “We are working to bring out the best in Athens by bringing people together and offering opportunities for everyone - without discrimination - to learn and grow. To support these program efforts of the Athens Partnership, click here. 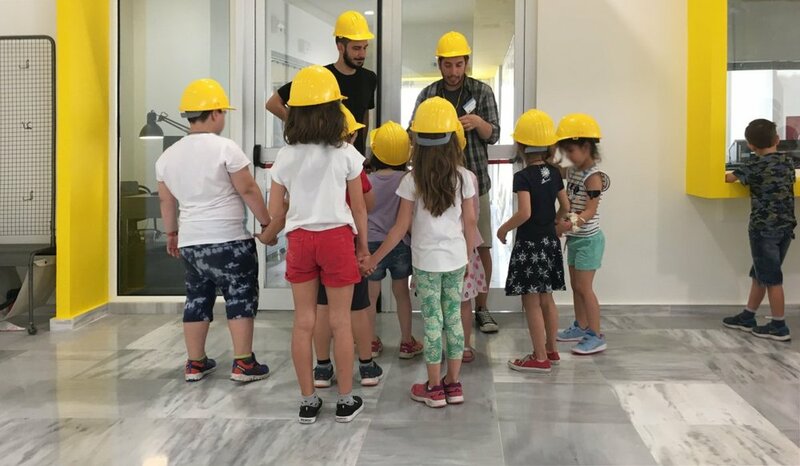 A Closer Look at METADRASI: “We are fulfilling the dream of many children, through Athens Open Schools"
Metadrasi is a Greek nonprofit organization that specializes in the fields of interpretation and intercultural mediation, as well as protecting of the rights of unaccompanied refugee and migrant minors. It is one of 150 organizations that offer more than 500 different activities to the neighborhoods of Athens, through the Athens Partnership’s Open Schools program. Metadrasi hosts language classes in Greek, English and German, as well as mathematics, for children aged 6-18 . 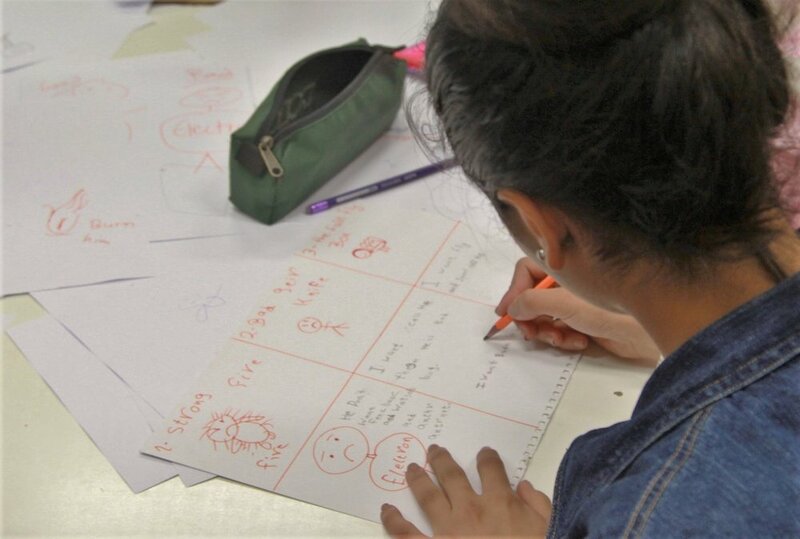 The program targets refugees, migrants, and Greek children, supplementing learning gaps with the aim of enabling children to succeed in public school. What was the motivation to design and implement this activity? 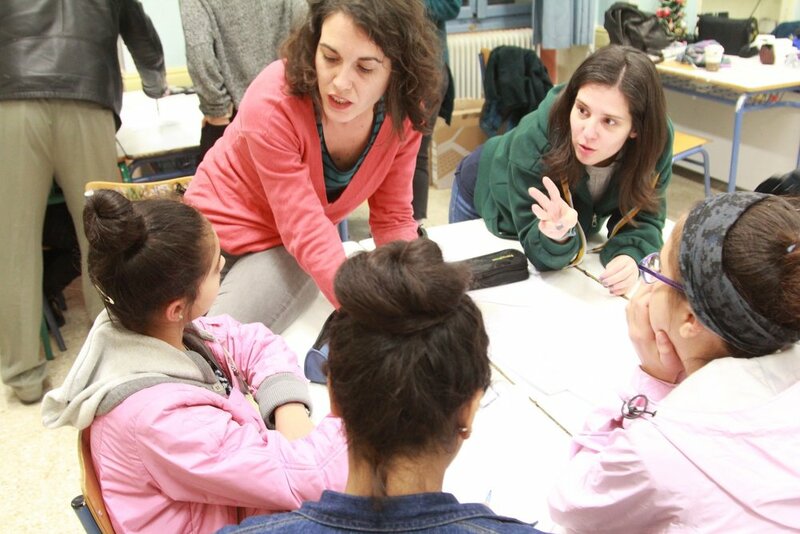 The main motivation came from Metadrasis’ ambition to help prepare children (refugees, migrants, and Greek natives)for better integration into formal education and into the school community as a whole. Partnering with Open Schools, we have been given the opportunity to implement an educational program that fulfills the dream of many children: their integration into formal school education. How is the integration of children into school and society promoted? Conducting our lessons in an actual school environment best prepares children for the transition to to morning school. At the same time, it provides an opportunity for many to leave refugee and migrant camps and visit other parts of Athens. The large participation of both Greeks and refugees in the program shows that there is a willingness for interaction between the two groups. It is very encouraging that we see a strong desire for all children, regardless of their origin, to play together in the courtyard before, during and after the lessons. The issue of refugees is a sensitive one. How do the neighborhoods of Athens react to your efforts? The neighborhoods generally embrace the program, but the degree differs depending on the familiarity of these issues with each neighborhood. Despite the financial difficulties we face, the great success of this activity makes us want to continue in our efforts. With the invaluable help of volunteers, we hope to continue supporting all of our students,who are making tremendous effort to better develop their knowledge and skills. To support these children through Open Schools and other AP public programs, please donate now. Your role in this? Everything. Three years ago a small group of supporters took a chance on the Athens Partnership—and the idea that this new vehicle could be a catalyst to spark innovation, collaboration, and investment in Athens. In this short period of time, we’ve launched 14 major cross-sector initiatives with the Municipality of Athens, invested over €12 million in grants and contributions, and impacted the lives of over 100,000 Athenians. Today we are not just an idea but a team of people, both seasoned and committed to strengthening Athens and the country—From reimagining public learning spaces to digitizing social services citywide. We have created a network of more than 30 government agencies, 400 NGOs and citizen groups, and private partners working together on programs such as Open Schools and the Athens Coordination Center for Migrant and Refugee issues. By bringing together these collective forces, we are targeting needs, leveraging and sharing valuable public resources and directing investments where they are needed most. The world is taking notice. This fall Athens was awarded the 2018 European Capital of Innovation distinction by the European Commission. This prestigious honor was received after consideration of the city’s bid that highlighted many Athens Partnership projects. Your role in all this is everything. This is a crucial time in the growth of the Athens Partnership and the reach of our public programs. Can we count on your support? On behalf of the Athens Partnership, I cannot thank you enough for your belief and commitment—your support is strengthening a city, a country and the citizens of Greece. As we reflect on the amazing outcomes over the last three years, we have much to be thankful for and are encouraged by the possibilities ahead with your partnership. "Three and 4-year old children were prevented from mingling with each other and could only use the yard according to a strictly regulated schedule." "It halted the children's desire to freely explore their surroundings and connect with their peers." 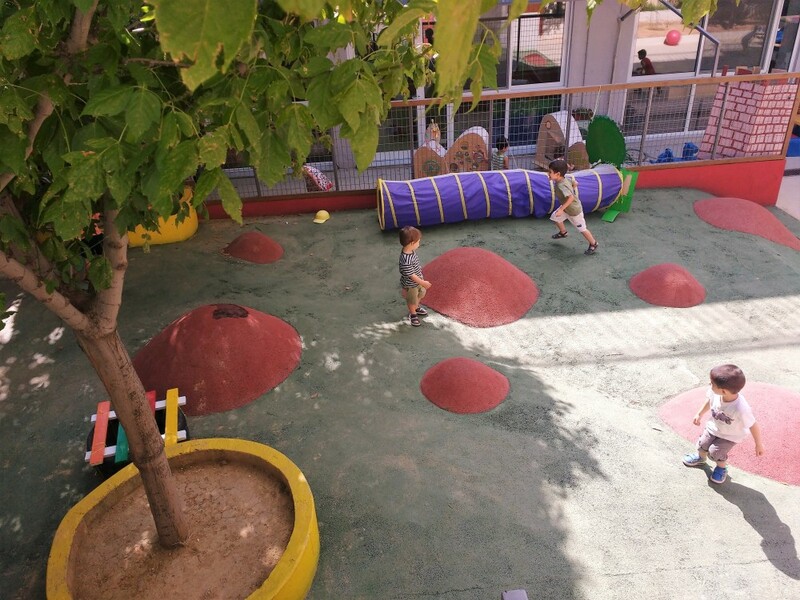 Through the Athens Partnership’s Designed for Better Learning (DBL) program—and expertise from the Technical University of Crete Transformable Intelligent Environments Lab—that complex has been redesigned into an open, connected play space for children at all five schools. Since 2016, the program transformed the physical environment and educational experience in 24 public schools, from preschools to high schools. Co-designed with each school community, renovations include new outdoor classrooms, interactive learning equipment, and multi-use play spaces. Studies showed that students at these newly designed schools displayed a marked increase in educational engagement and families a more positive connection with their schools. “I still remember the moment when our children got to cross over the old boundaries and play with other children. I hope this unique change, a first for Greece, can be offered to more schools”, says Popi. This Holiday season, can you offer the gift of a better learning experience for children in schools across Athens?